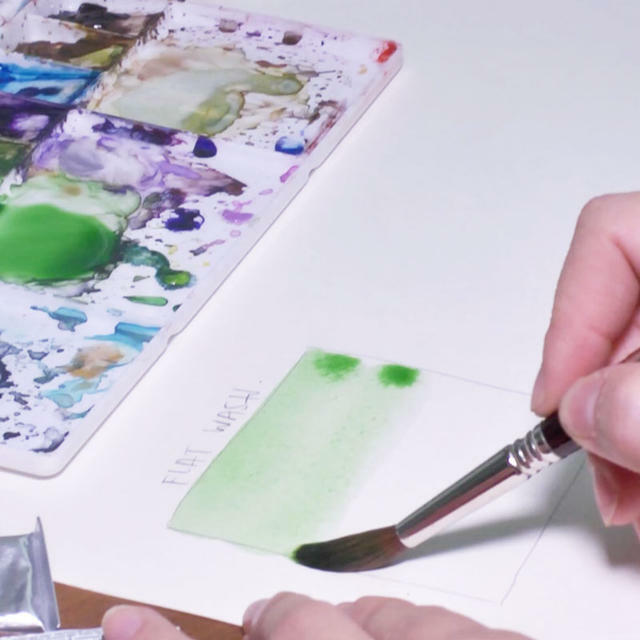 If you are a beginner in watercolor, start with this lesson! Be familiar with the tools that Carla, the instructor, uses and learn the basic moves of the brush. 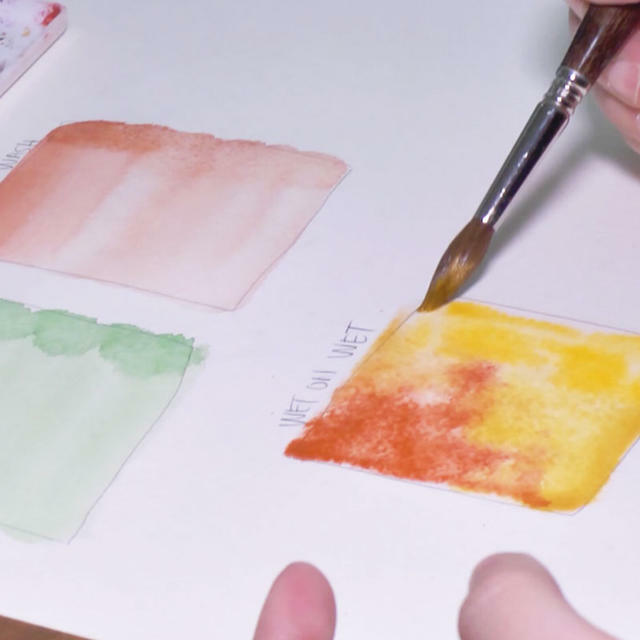 This is a lesson on the basics of watercolor. along with the basic moves of the brush. Watercolor may seem difficult, but the best thing about it is that it has no rules. Once you have mastered the techniques, the range of your work broadens infinitely. 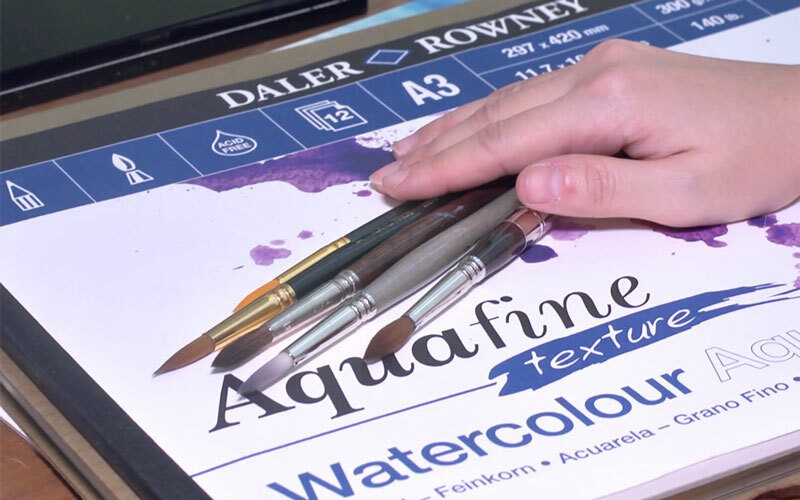 In this lesson, you will learn what kind of papers and brushes Carla usually uses. Even learning just these three techniques can broaden the range of your artwork a lot. 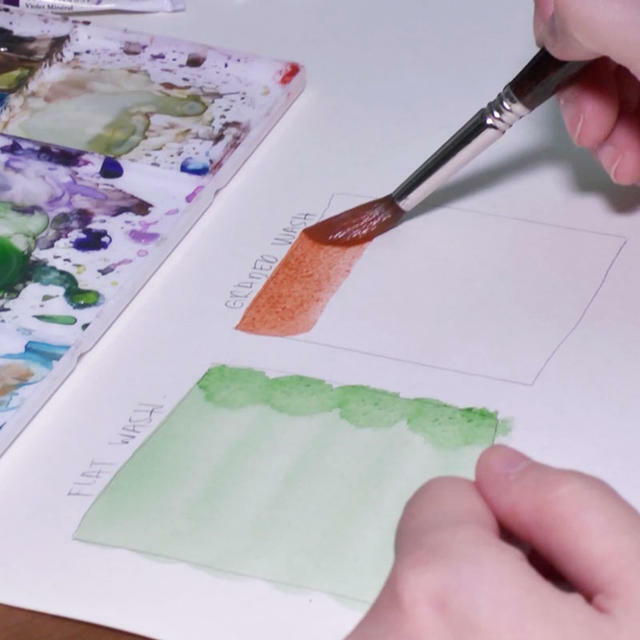 With this lesson, take your first step in enjoying watercolor! By mastering the basics, you can apply it in infinite ways. The techniques featured in this lesson become the base of everything. Watch this lesson and master it perfectly! You can start right away with only paint and paintbrush. 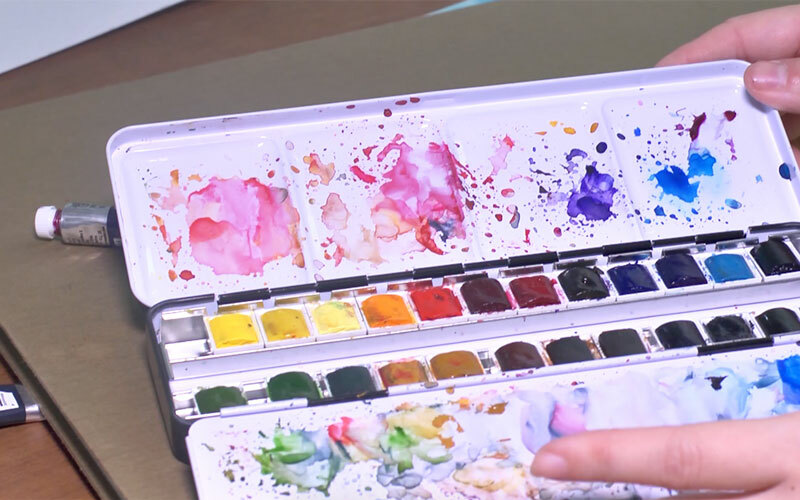 Even if you've never done watercolor, please give it a try! Once you've mastered the basics, try them out on an actual artwork! Draw the artworks, "Pink Peony" and "White Anemone", using the techniques featured in this lesson. Please try these artworks as well!